Key Difference: Flu is a contagious respiratory illness caused by an RNA virus from the family known as orthomyxoviridae. It affects birds and mammals. On the other hand, Bird Flu is caused by the influenza Type viruses. It infects birds and sometimes it can be transmitted to humans too. Flu ("Flu" is short for "influenza") is a contagious respiratory illness caused by an RNA virus from the family known as orthomyxoviridae. It affects birds and mammals. Flu is also known as common or seasonal flu. It is caused by the influenza type A and Type B viruses. It is contagious in nature. Generally, it is seasonal; it takes a toll during winter and early spring. It affects the body by primarily attacking the upper and/or lower respiratory tract. Flu spreads from one person to the other through respiratory secretions. It often spreads through close contact. Flu spreads between people. It can cause a mild or even severe illness depending upon the case. There are 3 types of flu viruses. Type A viruses - found in many kinds of animals, including ducks, chickens, pigs, and also humans. Type B virus – common in humans. Type C - found in humans, pigs, and dogs. It causes mild respiratory infections, but does not spark epidemics. Many people consider flu and a cold as the same due to the similar symptoms. However, they both are different. Flu has more severe implications rather than just a cold. When the influenza virus gets into the body, it travels toward the respiratory tract. After reaching the track it attaches itself to the surface of the cells. It starts releasing its genetic information to the cell’s nucleus. The virus replicates and then later takes control over the working mechanism of the cell. The body’s immune system fights against this virus to get rid of it. Bird flu (Avian influenza) is a viral infection that infects birds. 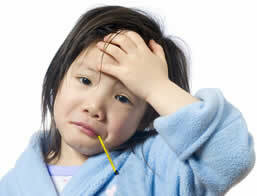 It is caused by the type A strains of the influenza virus. These flu viruses are present naturally in birds. Generally, wild birds contain these viruses in the intestines. This infects birds, but it can also be transferred from an infected bird to a person. However, it does not normally affect human beings, except the H5N1 strain. 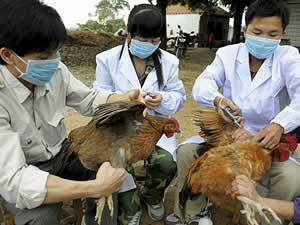 Bird Flu can also be further categorized on the basis of their severity. Symptoms of bird flu include fever, headache, body ache, sore throat, nasal congestion and dry cough. It can be transmitted from the infected bird’s excreta, skin and/or blood. One should try to avoid eating uncooked or under-cooked birds as a precautionary step. One can also get infected by a person who is already infected. Bird flu is also known as avian influenza. It is a viral infection that spreads from one bird to the other. These flu viruses are present naturally in the birds. Flu is also known as common or seasonal flu. It is caused by the influenza type A and Type B viruses. Generally, it is seasonal. diarrhoea, reluctance to move, eat or drink, droopy appearance, inability to walk or stand, unusual head or neck posture, lethargy, and sudden death in several birds. gastro-intestinal symptoms, such as nausea, vomiting, and diarrhea. Certain symptoms are much more common among children than adults. Direct contact with birds or their excretory products. Also contaminated by infected people. Infected person coughs, sneezes, or talks and droplets containing their germs land in the target’s mouth or nose. (Direct contact). It also spreads by touching a surface with the flu virus on it and then touching your mouth, eyes, or nose (Indirect contact). The current recommendation from the World Health Organization is to use an antiviral medication called oseltamivir (Tamiflu). Antiviral medications are prescription pills, liquids, or inhalers. Flu symptoms can also be treated by following instructions like – getting rest, drinking clear fluids, gargling salt water, placing a cool and damp wash cloth on areas like forehead, arms, legs, etc.